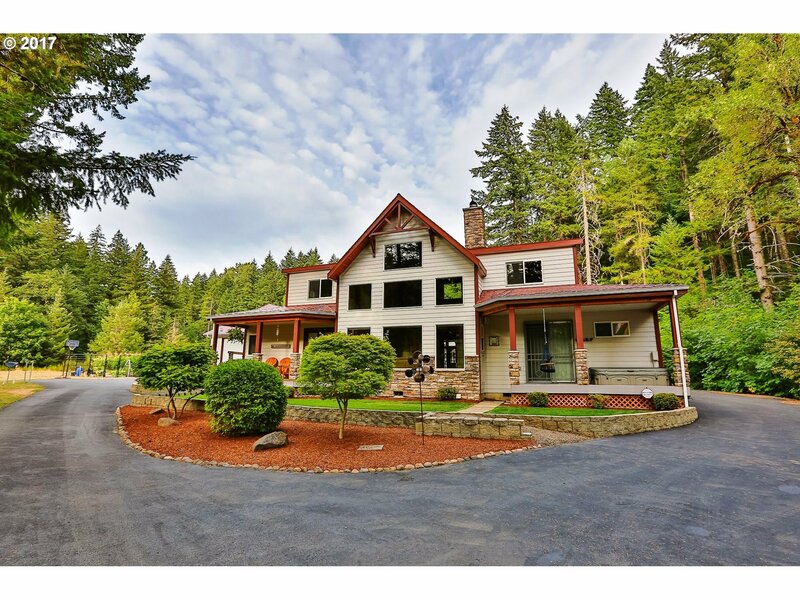 AMAZING White Salmon River Front on .92 acre, 2638 sq.ft custom timber-built home. Gorgeous property, 7 car garage w/car lift, and a 440 sq. ft. flex living space. Shop, XL RV garage, fenced raised garden.Exquisite craftsmanship, hardwoods throughout, heated floors, Corian counters, custom cabs/lights/fixtures, rock fireplace, Trex decks, roof w/heating coils, hot tub, master suite & each bedroom has a full bath. STUNNING!